Group trips to Peru on the Inca project will give you a real insight of the ancient Incan civilization that you would not get on any tourist trip. On this project you will be working in the breath-taking Andes Mountains, and on archaeological sites only recently discovered. This really is a once in a lifetime experience. Your volunteer time will be split working on archaeological sites and on community projects. The project is based near the town of Lucre, which is a 40 minute journey from the city centre of Cusco. The town itself is in the Lucre Valley and the work we undertake on the project here focuses on archaeology. One of the long-term goals of the Archaeology project is the investigation and mapping of unregistered structures and forms in Pikillaqta National Park. Groups will be working alongside Peruvian archaeological experts. Jhon Valencia Cordova is the Director of Archaeology and Delsi Espinoza Masias is the archaeologist on the current archaeological programmes. Groups on the Archaeology Project will live with host families in Cusco. Volunteers will work 3 days a week on site in the Lucre valley. The other two days will be office work, classifying ceramics, work at the local museums and community work. Archaeological presentations will be given once a week during the office day and volunteers will have the opportunity to attend the weekly Projects Abroad social. 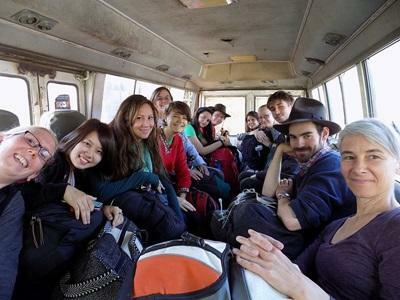 Volunteers and staff will depart to the work site and return to Cusco together at the end of the working day. Archaeological work can include exploring the area looking for "new" sites, mapping, excavating, cleaning and maintaining current sites, classifying artefacts etc. The first part of our project regards preliminary investigations. This involves the registration of Inca and pre-Inca tombs, burial chambers, buildings, Inca trails, water channels, terrace systems, petroglyphs and access routes in the district. Groups will be involved in the registry works using scales, photographs, GPS and also making physical maps of the structures and forms. We expect these works to take approximately 2 months to complete. Due to our agreement with the Peruvian Ministry of Culture we cannot advance to the second agreement until the first agreement is completed and a report is presented to the Ministry. We expect to commence excavations at 6 locations close to the National Monument of Pikillaqta, a pre-Inca site dating from the Wari civilization. These excavations will be undertaken during the drier months of the year and volunteers will travel to the site 3 days a week to participate in the ‘dig’. During the wetter months of the year it is not possible to continue with excavations in the Cusco region. The majority of archaeological works during this time of the year are undertaken indoors. Volunteer activities include, but are not limited to: cleaning and codifying evidence, analysis and classification of cultural material, drawing and registering evidence before the final presentation is made to the Peruvian Ministry of Culture. On Mondays and Wednesdays, work will be undertaken to prepare the excavation sites of Unocochayok and Tantaestancia. This will include registering archaeological structures through photographs and GPS coordinates, clearing the site of weeds and overgrowth, drawing maps of the excavation sites, establishing walkways and paths at the excavation site and conduction exploratory hikes in the region. Tuesdays will see the volunteers conducting maintenance work at the archaeological monuments. This will include clearing the site of weeds, maintaining walkways and routes within the complex and assisting with signalisation and information boards at the site. On Mondays and Wednesday, excavation work will begin at Unocochayak and Tantaestancia. This will include archaeological excavations, recording finds and placing any finds in contexts. On Thursdays, our volunteers will be working at the Sacsayhuaman Archaeological Park. This includes various maintenance and registry work on the excavation sites as mentioned previously for the other sites. 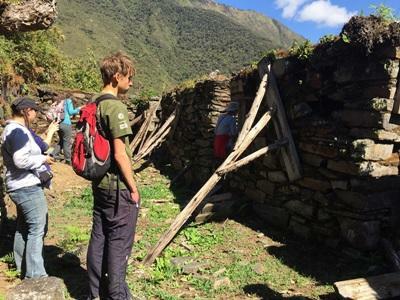 Apart from the activities mentioned above, volunteers will visit archaeological sites in the Cusco region once or twice a week depending on the time of year. They will be accompanied by a project archaeologist and will have the opportunity to ask questions and discuss different aspects of these sites with them. Volunteers will work in the office and transfer all weekly registry works onto computer to help prepare the reports to be presented to the Peruvian Ministry of Culture. This also gives the staff and volunteers a chance to plan the forthcoming week’s activities and discuss any problems encountered during the previous week. At the end of the project in March 2017 all volunteers who participated on the report will receive an electronic copy. Every Monday the volunteers will help the local museums in Cusco with translations and codifying objects. 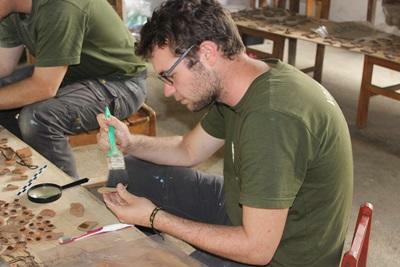 Wednesday mornings, Projects Abroad will provide archaeology workshops. On Wednesday afternoons, volunteers will be given Inca and Wari presentation related to the Archaeology Project. Topics may include: Machu Picchu, Inca architecture, Andean construction techniques and Ancient Andean Beliefs. Again, the project archaeologist will be on hand to answer any questions that volunteers may have regarding the presentation. Measurements, cleaning, classifying and description of ceramics will be done every Monday morning at the Projects Abroad office. As of May 2016, our community activities will commence in the Lucre Valley at the small primary school in Huacarpay. Activities will include but are not limited to: clearing pathways and making the playground safe, painting classrooms and school furniture, and preparing educational materials for the teachers and students. Volunteers will also have the opportunity to interact will the students during their recess. This project is part of our legal agreement with the Peruvian Ministry of Culture. Every Wednesday afternoon Projects Abroad organizes a social event for volunteers based in the Cusco region. This gives the volunteers from projects based in Cusco and the Sacred Valley the opportunity to meet up on a social level. Social activities include: Cooking classes, Salsa lessons, nature hikes, open top bus tours of Cusco, city walks and ceramic workshops. The locations of the socials change between Cuzco and the Sacred Valley. You will spend your free time exploring Cusco, the town where you are based, and taking part in various activities organized by Projects Abroad. You will also be taken onto Machu Picchu, one of the 7 Ancient Wonders of the World. Here you can see the iconic ruins and hike in the vicinity. Here you will breathe the freshest air you will have ever experienced! Your eyes will be saturated by the beautiful scenery; it is truly breath-taking!